Netanyahu was referring to a rally organized in Tel Aviv on Saturday, which organizers estimated had been attended by tens of thousands, mainly from the Arab minority. 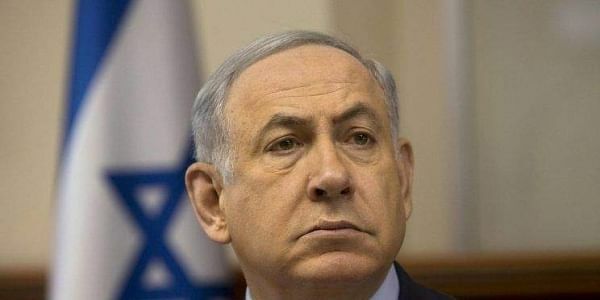 JERUSALEM: Israeli Prime Minister Benjamin Netanyahu on Sunday criticized rallies that took place in Tel Aviv against a controversial law recently approved by parliament declaring Israel the nation-state of the Jewish people. "...We saw PLO (Palestine Liberation Organization) flags in the heart of Tel Aviv. We heard the calls: 'With blood and fire we will redeem Palestine'," Efe quoted Netanyahu as saying during the weekly cabinet meeting. "Many of the demonstrators want to abrogate the Law of Return, cancel the national anthem, fold up our flag and cancel Israel as the national state of the Jewish people and turn it - as their spokespersons said - into an Israeli-Palestinian state, and others say: A state of all its citizens," he added. The controversial law, approved on July 19, recognizes Israel as a Jewish State, grants only Jews the right of self-determination and abolishes Arabic as an official language. The Arab minority, which represents 20 per cent of the population, considers the law discriminatory and organized the rally a week after the Druze community took to streets.